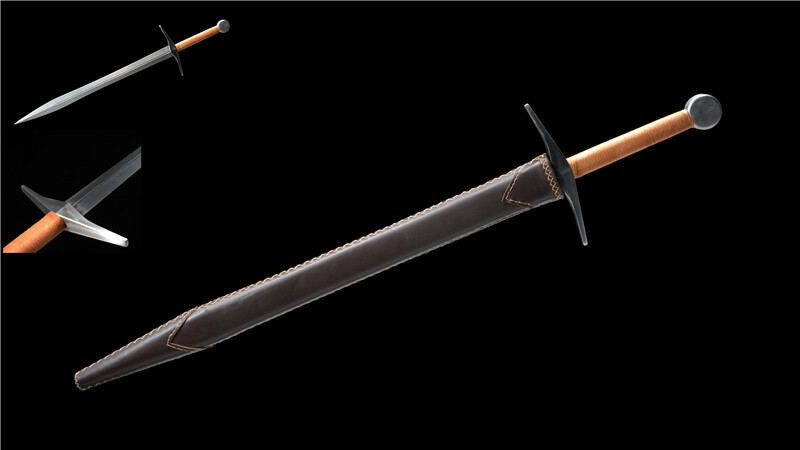 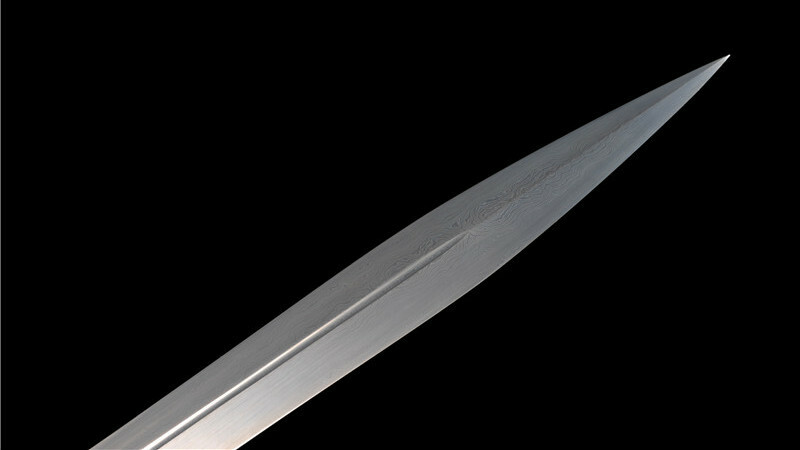 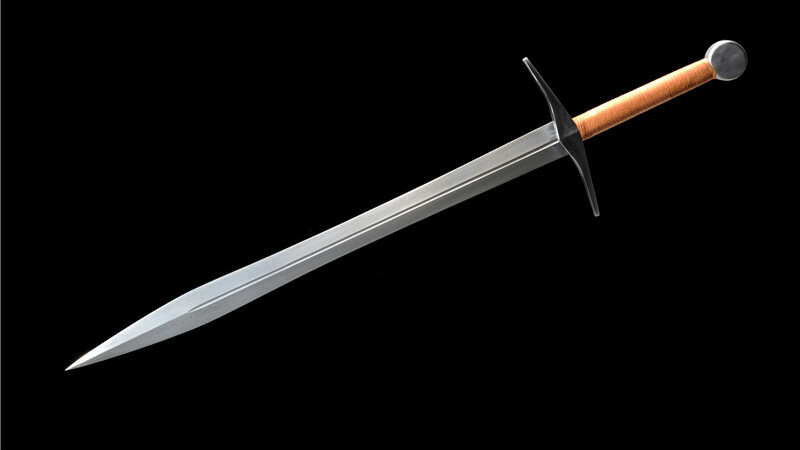 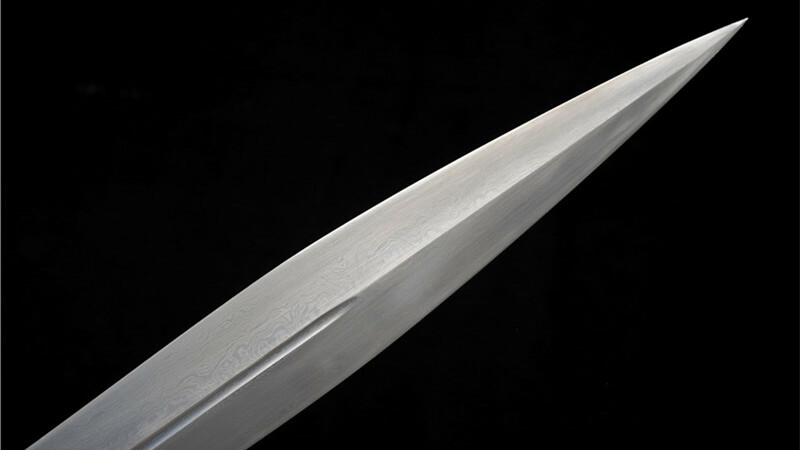 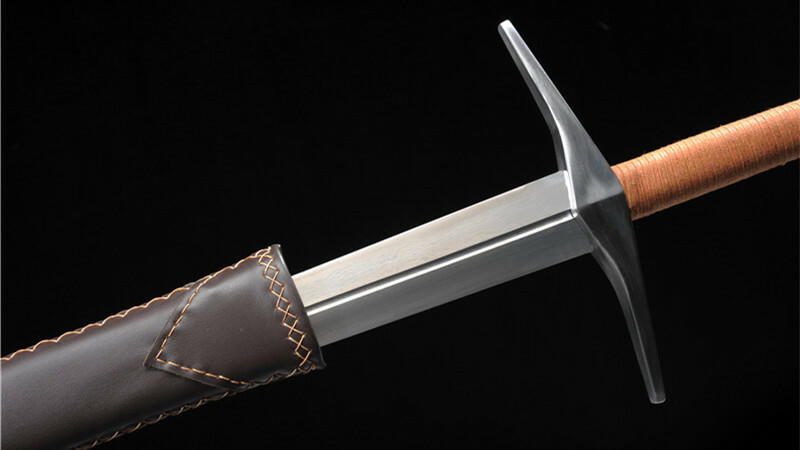 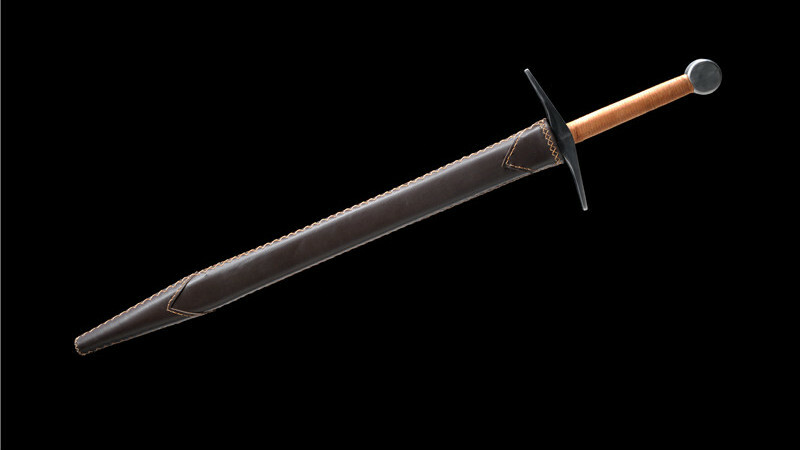 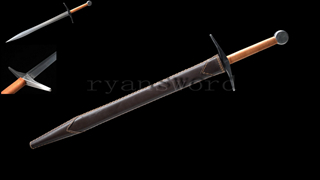 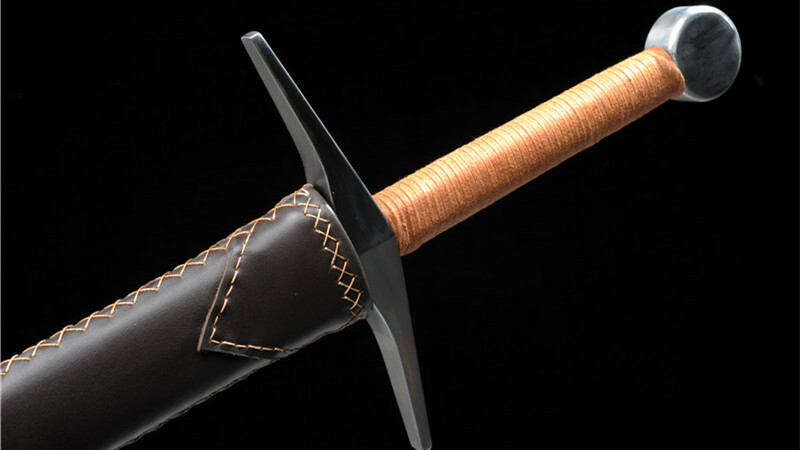 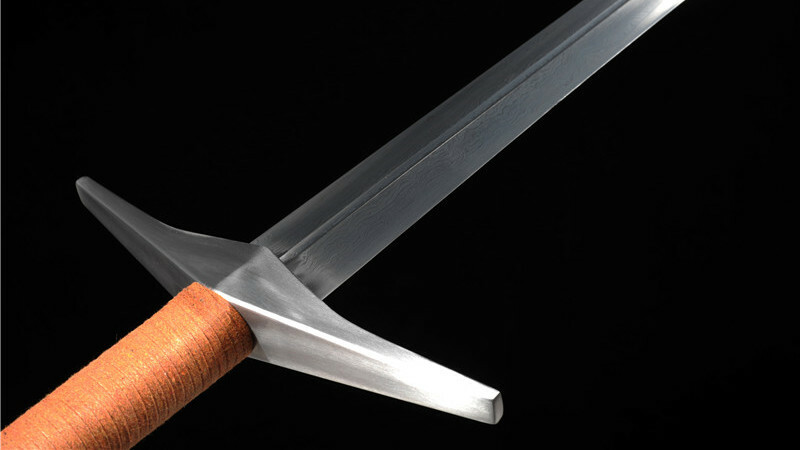 Ryan1216 is a replica of a Medieval European double-edged sword, the blade is full tang and sharpened. 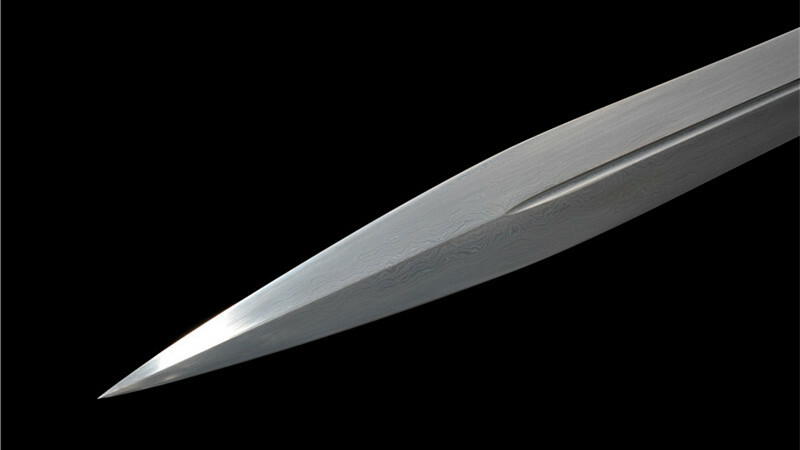 The blade is made of folded steel, folding grains are clearly visible. 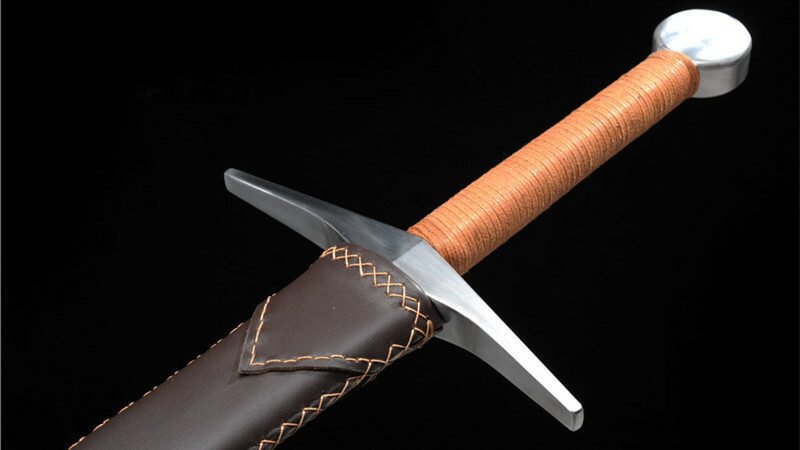 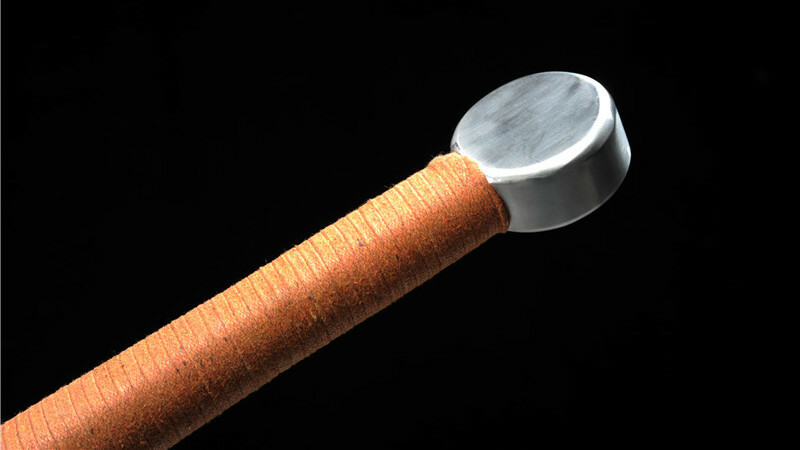 The handguard and pommel are made of iron, the handle wrapped with brown wax cord. 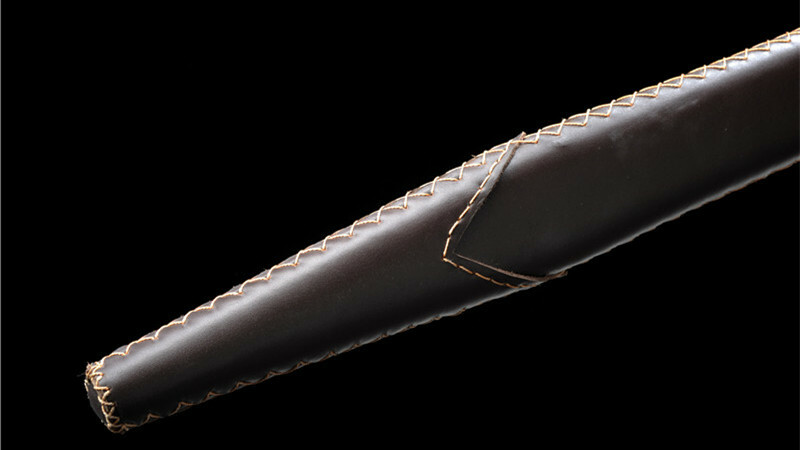 The sheath is made of hardwood and wrapped with brown leather.